In a keynote speech to the fourth annual Medellin Bird Festival (Festival de las Aves Medellin 2017), World Wildlife Fund (WWF-Colombia) strategic alliances director John Myers revealed that Colombia generally and Medellin/Antioquia specifically have tremendous potential for expanding profitable, socially beneficial birdwatching tours. Citing two recent scientific studies – one in Tropical Conservation Science (see: Economic and Conservation Potential for Bird-Watching Tourism in Post-Conflict Colombia, http://journals.sagepub.com/doi/full/10.1177/1940082917733862) and Elsevier (Peace is Much More than Doves: The Economic Benefits of Bird-Based Tourism as a Result of the Peace Treaty in Colombia, https://papers.ssrn.com/sol3/papers.cfm?abstract_id=2973980) -- Myers revealed that the average North American international bird-watching tourist would be willing to pay about US$310 per day to join a 10-days-long group birding tour in Colombia. That’s about US$60 per day more than North American bird-watchers typically would pay for birding tours in Costa Rica -- the world’s most-popular international destination for bird tourism, Myers explained here. Colombia’s recently signed “peace treaty” with the narco-terrorist FARC group is one reason for growing interest among international birders to join birding tours here, he said. In addition, a growing number of Colombia-based birding companies are arising (see Medellin Herald, July 8, 2016, "Birding Networks, Expert Guiding Continue to Grow in Antioquia, Colombia”). Yet another reason is the budding emergence of organized birding “trails” or specialty routes, as promoted by Colombia’s Ministry of Tourism as well as other agencies -- in cooperation with non-governmental organizations (NGOs) including WWF, Audubon and (potentially) more local Colombia bird-conservation groups, such as the Medellin-based Sociedad Antioqueña de Ornitologia (SAO). The non-profit SAO organizes the annual Festival de las Aves de Medellin, as well as regular bird-walk excursions, monthly wild-bird education conferences, research projects, conservation projects and numerous volunteer initiatives (see: http://sao.org.co/). Historically, two-thirds of Colombia’s supposedly “protected” national park areas have been invaded by guerrilla groups, illegal miners and coca growers, Myers noted in his presentation here. But a “Heritage Colombia” initiative cosponsored by WWF-Colombia and the Environment Ministry aims to increase the size of “protected areas” as well as to help conserve abutting areas, where bird-friendly forest habitats otherwise could be destroyed by expansion of farming and ranching -- expansions that are contemplated in the “peace treaty” with the FARC, he explained. Crucial to the creation of birding “trails” and initiatives such as “Heritage” is the involvement and training of local people that would benefit from expansion of ecotourism in these “former conflict zones,” he explained. One such initiative cosponsored by the U.S. Agency for International Development (USAID) nearly three years ago involved training of 40 guides in northern Colombia. This project targeted specialized birding in areas including the Serrania de Perija, Ecoparque Los Besotes (in Valledupar), Minca (in Sierra Nevada de Santa Marta), San Lorenzo, Tayrona and Los Flamencos park in La Guajira, he said. The initiative also included research on “hot-spot” birding areas as well as promotional tours with journalists, generating wider interest in ecotourism. Expansion of similar initiatives in more areas would require further investment and development of “comfortable lodging, good roads, reliable transportation, bilingual and bird-focused guides, and attention to bird-watchers’ peculiar needs such as early breakfasts, canopy towers and silent boat tours, in order for the bird-watching industry to reach its potential in Colombia,” as noted in the recent Tropical Conservation Science study. Such investment and training would result in a projected 150,000 North American birding tourists coming to Colombia over the next decade, generating at least US$50 million in new income for Colombian birding operations and creating least 7,500 new jobs, Myers said, citing the recent studies. 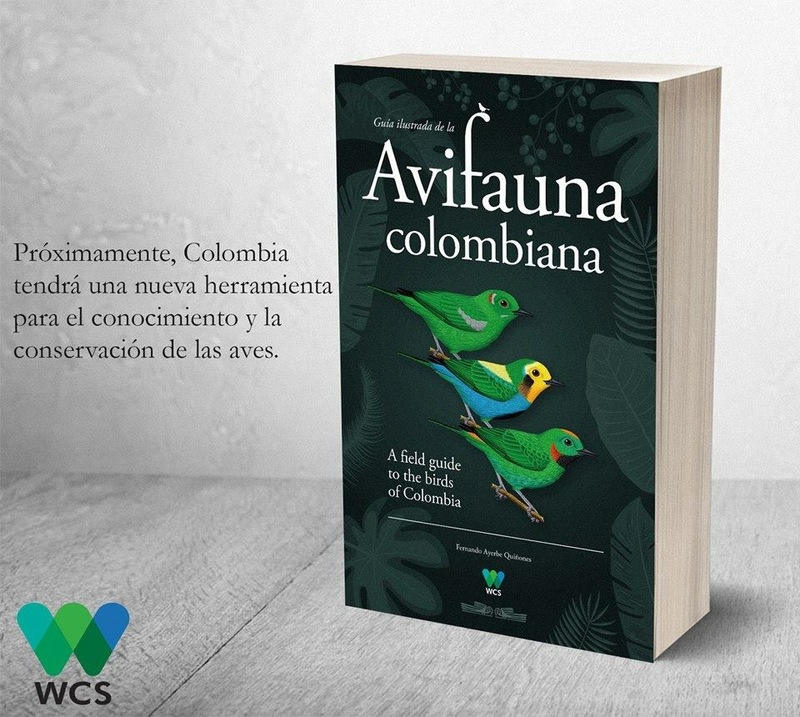 A recent Audubon membership survey cited in the study also revealed that although 56% recognize Colombia as an important country for bird watching, more than 70% did not know that Colombia has the world’s greatest bird diversity. However, 54% of those surveyed also perceived that Colombia was still unsafe because of the historic narco-fueled guerrilla wars. For example, Medellin-based birding tours could develop 10-to-12-day “trail” routes involving nearby Antioquian regions including the Pacific as well as the Middle Magdalena, he said. In Colombia today, “there are very few birding tour companies – four or five that have 70% of the business. So, there’s enormous opportunity. There are also very few eco-lodges compared to Costa Rica, Ecuador or Peru," Myers explained. “But Colombia also needs more English-speaking guides. Every trained guide with binoculars, books and English potentially can be his [or her] own company. Quantity and quality is fundamental, along with certification,” the latter of which is controlled by Colombia’s government-run Servicio Nacional de Aprendizaje (SENA).